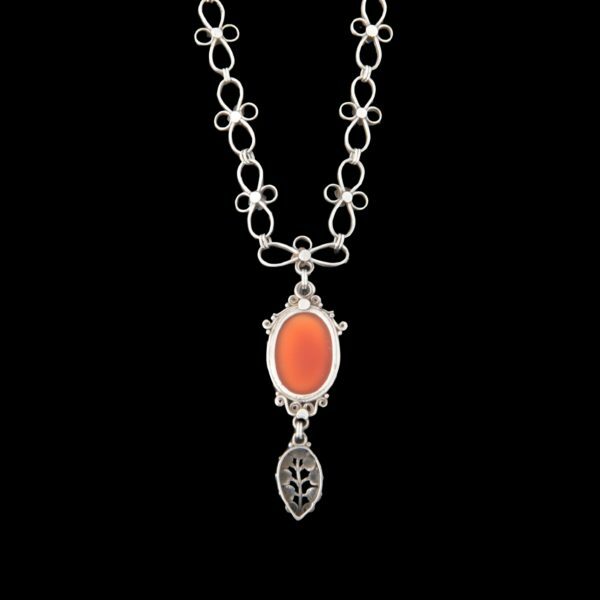 A lovely agate and silver pendant dating to c. 1905. 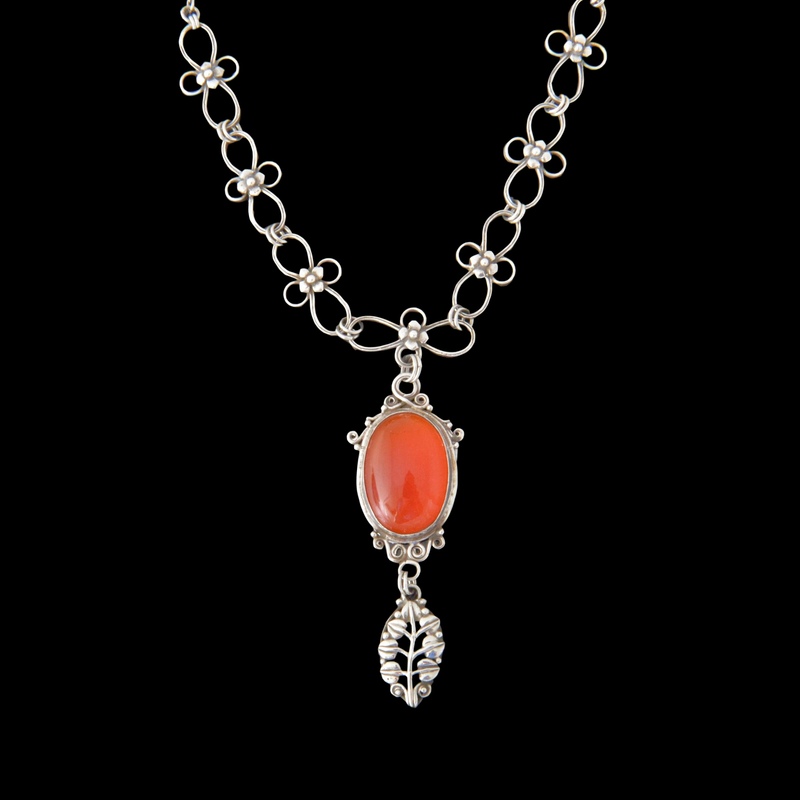 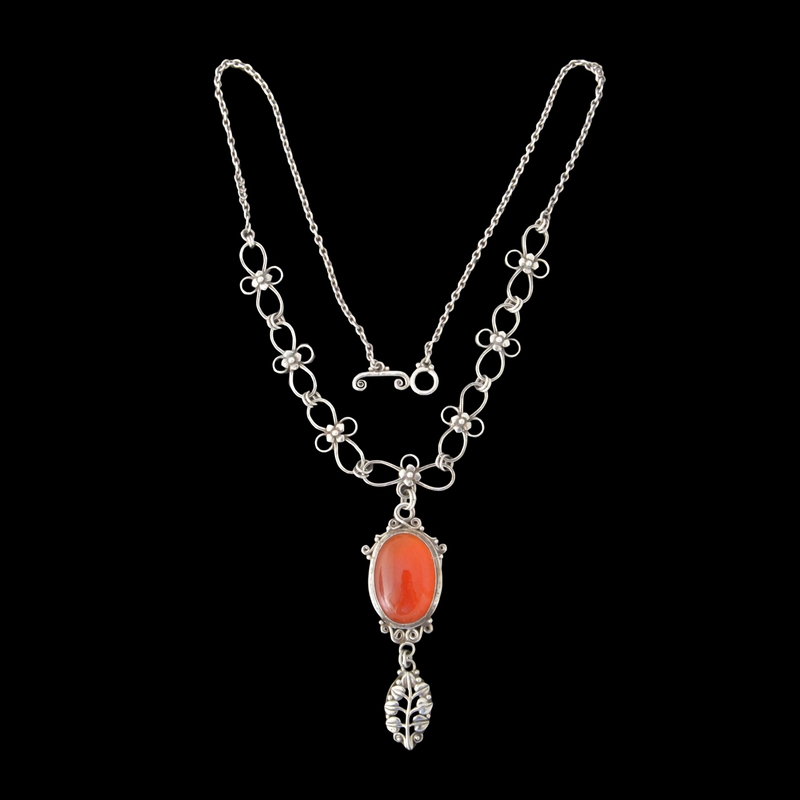 The quality of the silver necklace is excellent and the agate has a particularly fine translucent orangey colour. The pendant comes in its original faux shagreen box The pendant, and box, are in the style of the Artificers Guild.